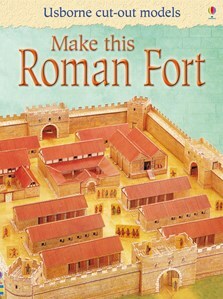 Printed on stiff card, this book contains templates to cut out and construct a superb model of a Roman fort crammed with authentic detail. The base of the model measures 61 x 46cm. Bought one for 15mm miniature war gaming - such a cheap way to build an impressive display piece.